Swarming termites are teenage “scouts” sent out of overcrowded termite nests to set up new colonies in spring and early summer. In early summer the humid conditions often match the inside temperature of a termite nest. These humid conditions are often prevalent after a thunderstorm. This creates the perfect conditions for colonising termites to take flight. These conditions are often occurring at night which means there are fewer threats of ant and bird attack. This makes it easier for them to set up new colonies. These termites will fly in search of a horizontal surface such as the crossbeams of verandas but are just as happy to nest on the ground. They then shed their wings, find a mate and search for moisture, food and shelter. Once these termites have landed they will tunnel under the soil or find a piece of wood to nest in. They will then seal the entrance to keep out predators such as lizards and ants, increasing chance of survival. Pairs of termites tend to the first batch of eggs until all the eggs hatch and grow larger over a few months and become workers. The workers then take over egg-rearing and feeding the nymphs by regurgitating wood. The initial pair will then spend all its time breeding. As summer progresses many of the tunnels and wood (their food) dries out so the termites are always foraging looking for more food. This is how they find their way into the homes of South East Queensland. The termites that survive the initial flight is a very small percentage. 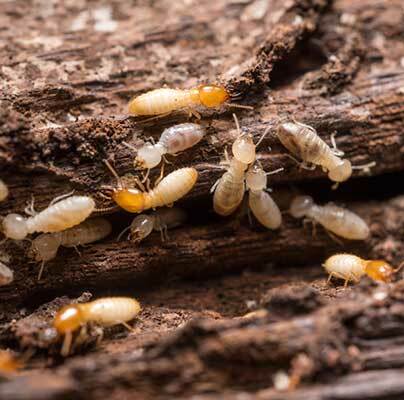 Those surviving termites are the ones that will nest in our homes or other wooden structures. How Do You Know if You Have Swarming Termites? 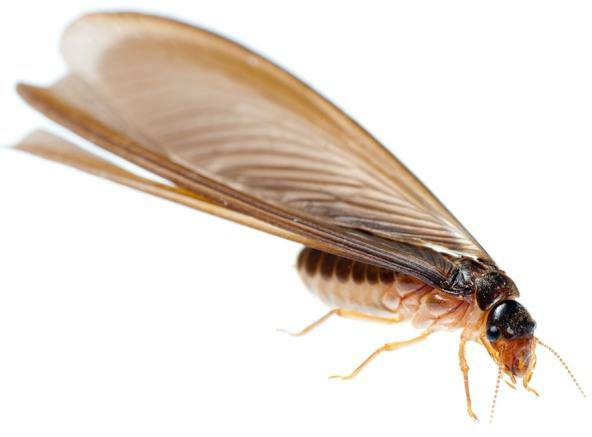 The best evening to check to see if you have a swarming termite problem around your property is a humid summer’s evening after a thunderstorm. If you see fluttering insects around your outside lights, look at their wings. All four wings are the same size and usually over 10mm long. They will shed their wings soon after landing. Dozens of termites indicate there is a colony fairly close by. Hundreds of termites indicate the nest is much closer. Thousands of termites indicate that the nest is in your property or your neighbors. Next step is to grab a torch and follow the flying trail and see if you can track them back to their take-off point. Shine the torch beam up in trees and the highest parts of your home too. Also, check posts to see if there are holes which are a perfect place for a nest. If you find a hole in a tree, then the nest is probably in a hollow pipe or tunnel inside the tree. Termite nests can be traced in soil too within a 200 metre radius of the swarming termites. Termites swarm normally during November – December and March – April in South East Queensland. A long-term view is therefore best in defending our home. At Hitman we have found over the past 20 years that a monitoring program is the most effective way to manage termites on our properties. 4) Inspections MUST be done on a regular basis by a qualified termite specialist, to ensure that the monitors are effective and that they haven’t bypassed the monitors. This means a full inspection of the house as well as the monitors themselves, are checked on an ongoing basis.